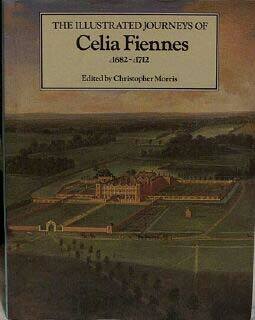 Celia was born on 7th June, 1662, at Newton Toney, Salisbury. Her father, Colonel Nathaniel Fiennes, was the second son of the 8th Baron and first Viscount Saye and Sele, a staunch Puritan, and one of the first generation leaders of the opposition. Both he and all Celia's uncles had fought against the King. Celia's strong, Nonconformist heritage may have given her the courage for her travels, but the motivation, she insisted, was practical: 'My journeys were begun to regain my health by variety and change of aire and exercise,' she recorded in the preface to her journal. But despite proclamations to the contrary, Celia seemed to be in excellent health. England was not then a land of neat hedgerows and orderly rivers with sturdy bridges; it was largely a wilderness. Celia could journey half a day through narrow lanes, sometimes in deep clay, with no one to direct her way. Not surprisingly, she encountered numerous mishaps. She might easily have drowned on the flooded causeway of Ely and her 'horse's feet could scarcely stand' as she crossed the Sands of Dee. 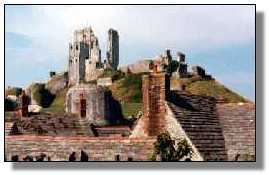 Twice she was thrown from her mount when it fell just outside Alresford, but suffered 'noe harm I bless God.' These accidents failed to upset or discourage her, indicating that her nerves were just as strong as her body. Her journeys included visits to the numerous 'spaws' of 17th-century England: Bath, of course, as well as Epsom, Hampstead, Tunbridge, and Dulwich. Celia visited them all, many times, to sample their waters. Her descriptions of the people gathered there shed a telling light on the rampant hypochondria of the period, of which the author was most likely a victim. At a time when the national diet consisted primarily of various meats and grains, there may, however, have been real value in the spas' therapeutic waters. In addition to her description of the state of the country's health, Celia Fiennes provides invaluable insight into the social and domestic attitudes of 17th-century England. Her interests lay in rich men's houses and in the towns where 'big money' could be made. This interest in great houses was natural for one in her social position and, with a woman's eye, she describes their gardens, ground, and the number and arrangement of the rooms as well as their pictures and furnishings. But in addition to these 'feminine' details, Celia took a decidedly unladylike interest in new manufacturing processes and drainage projects. She devoted her most detailed descriptions to the mines and quarries she visited. 'Tho' the surface of the earth looks barren,' she wrote while travelling through Derbyshire, 'those hills are impregnated with rich marble, stone, metals, iron and copper.' Her interest in mining was most likely a selfish one: a valuable piece of land Celia owned in Cheshire contained England's first known deposit of rock salt. Most of all, Celia was drawn to the modern innovations of her age. At Hampton Court she was impressed with the new water closet Queen Mary had installed: 'it is a closet that leads to a little place with a seate of easement of marble with sluces of water to wash all down.' She spent little time remarking on the annual feasts or processions as these were 'old customs'; instead, she noted the price of food at market. The late 17th and early 18th centuries heralded not only industrial and domestic innovations, but also notable changes in England's social structure. Hers was a new age in which a wealthy businessman could expect to buy himself into 'good society' despite his lack of noble lineage. Celia, it seems, greatly approved of this new, more democratic society. Her own sister, in 1684, married Edmund Harrison, a 'Turkey merchant', and at Newbury, she writes, she 'called on an old acquaintance marryed to a tradesman'. But Celia also found much to be displeased with, and never failed to point out society's shortcomings. She had a critical eye for the towns, checking the cleanliness of the streets and their pitch. 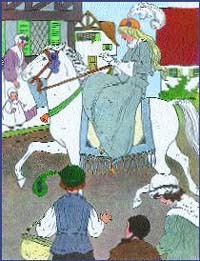 Her criticism extended to the people she met along her way, particularly the Scots, whom she encountered on a brief foray over the border: 'I tooke them for people which were sick, seeing 2 or 3 great wenches as tall and bigg as any woman sat hovering between their bed and the chimney corner, all idle doing nothing or at least was not settled to any work tho' it was nine of the clock when I came thither.' Celia, a staunch Puritan, subscribed to the theory that the poverty was a vice rather than an affliction, and concluded that laziness lay behind Scots' indigent circumstances. Although the will did not mention the diary, her zestful travels are a bequest to all--a wonderfully comprehensive picture of England at the close of the 17th century. She captures the scene with the strokes of her pen. The remains of the siege are all that she sees. As we ride to the top of a South Dorset hill. What Celia sees she will share with us all.